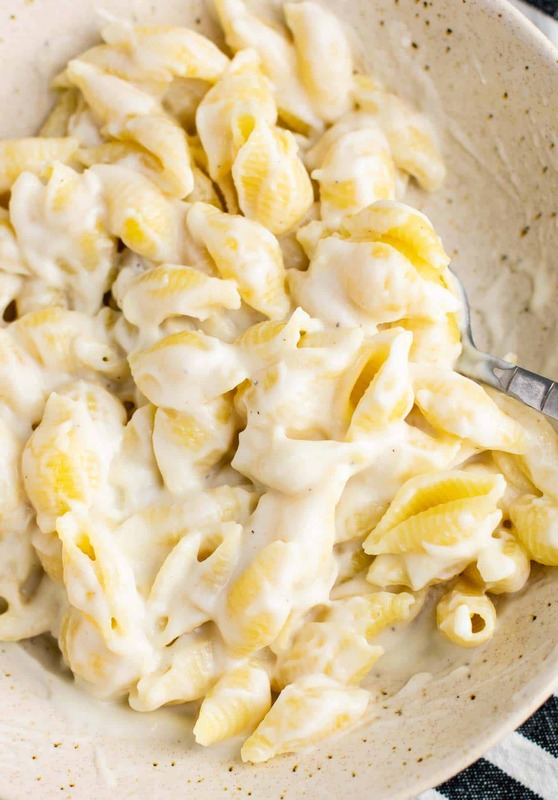 This cauliflower alfredo sauce has fast become one of my favorite sauces to make. I can’t wait to share the recipe with you today! It is velvety smooth, rich and cheesy, and secretly full of veggies. Now that’s a winning combination in my book! First, cut up your cauliflower into florets and steam with the whole garlic cloves until fork tender. Read my post on How to Steam Cauliflower for the easy method that I use instead of an actual steamer. 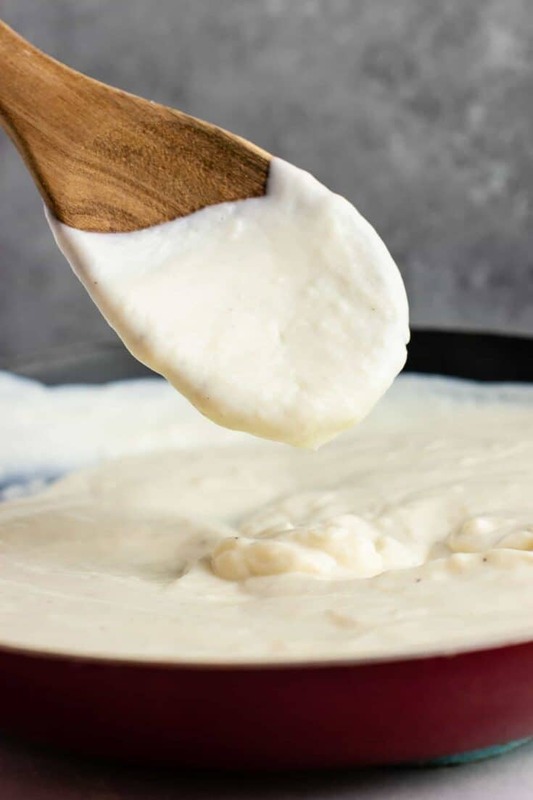 Once the cauliflower is steamed, add milk, cauliflower, and garlic to a blender or food processor and blend until smooth. 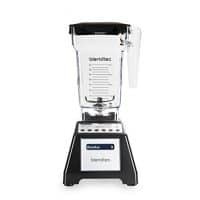 I suggest using a high powered blender like a vitamix or blendtec for best results. This will result in velveety smooth texture with no lumps or gritty taste. 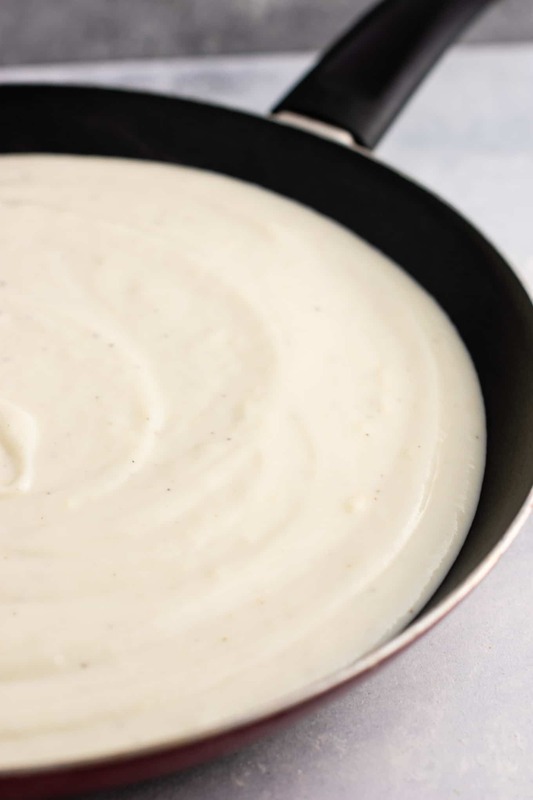 Transfer the sauce from the blender to a large skillet or pot. Heat sauce to medium high and cornstarch. Whisk until sauce thickened (around 5 minutes). Stir in your freshly grated parmesan, salt, and pepper to taste. Continue stirring until thick and creamy. Serve over pasta of choice! We love shells, fettuccini, or elbow noodles. Any pasta would work! I do not lie to you when I say this is one of the most incredible things I have EVER tasted. I basically want to just drink this cauliflower sauce from a bowl and just call it soup! It is so very insanely creamy and decadent. Every recipe that I share on my blog is one that I have personally tried, tested, and enjoyed. However, I am human and definitely play favorites. 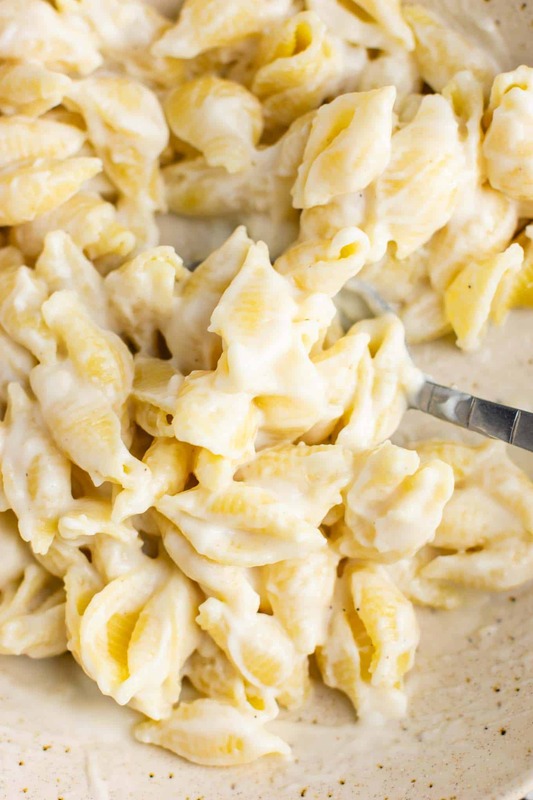 This Easy Cauliflower Alfredo Sauce pretty much just shot straight up to my top 10 list. If you make only one new recipe this week, please make this! It is absolutely incredible and does not taste like it is packed full of veggies! My toddler happily ate this one too. The sauce is so insanely flavorful that I was licking the spoon…I lost count of how many times. This recipe gave me another reason to love my blendtec. 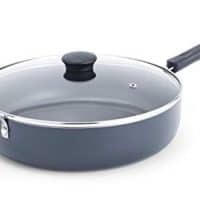 It’s perfect for helping get that perfectly smooth texture of the sauce. You can use a food processor, but be warned that it might not be able to get the sauce perfectly smooth. I have made it both ways and prefer the texture from using my blender. 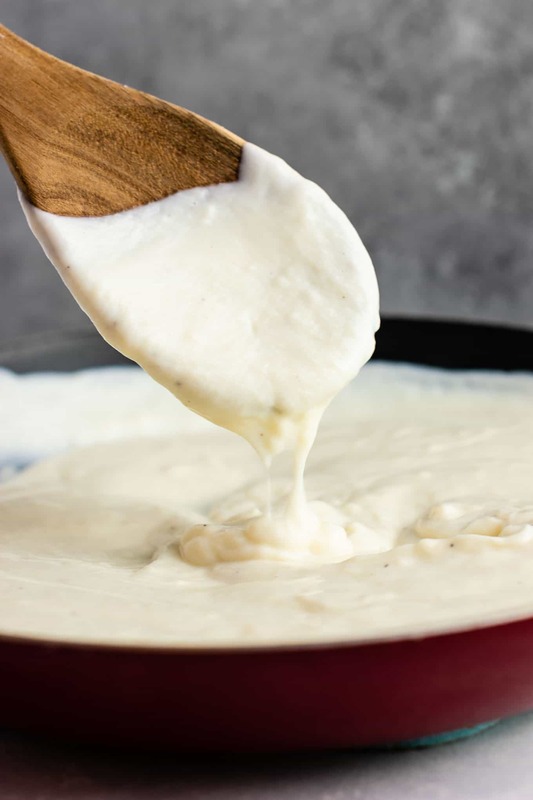 There is no grit and no chunks, just super smooth and delicious cauliflower sauce! We served it over shell pasta (Crosby’s favorite). Any pasta you have on hand will work! 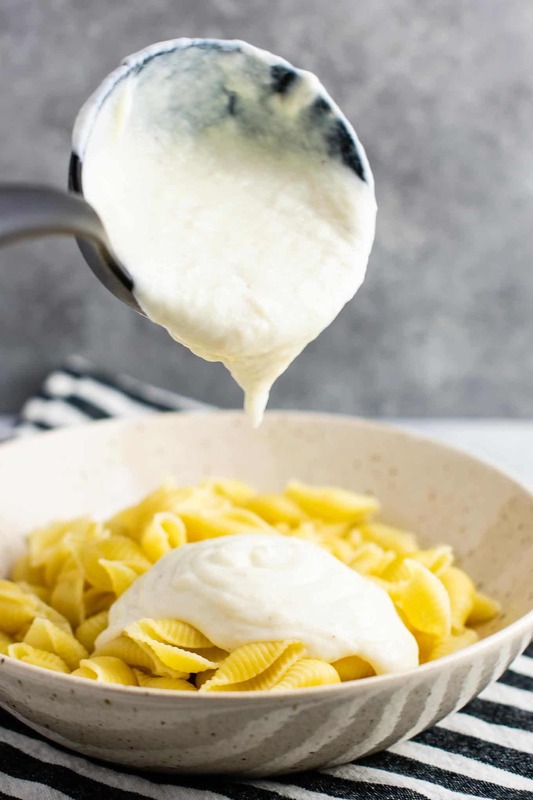 You can also serve it over fettuccine for easy fettuccine alfredo. I’ve always been a cauliflower lover, but this recipe turned me into addict status. Between this recipe and my roasted cauliflower shells and cheese, I could eat it all week long! 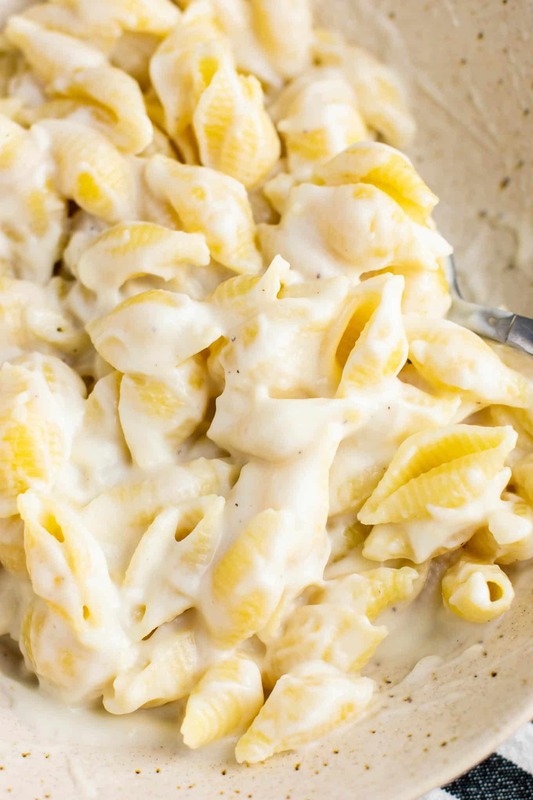 I made this cauliflower alfredo sauce to use as a base in my Cauliflower Alfredo Pasta Bake and it’s basically LIFE CHANGING. I could eat this sauce as a soup. By itself. Every single day. I sound like a broken record here, but I just can’t get enough. I’m even thinking of putting it on pizza for the sauce! This sauce is super thick and makes a large batch, so there’s plenty to go around! Looking for more ways to enjoy cauliflower? Here are the reader favorites recipes and tips! Are you making this recipe? I want to see! Be sure to tag me on instagram @buildyourbite and hashtag #buildyourbite! 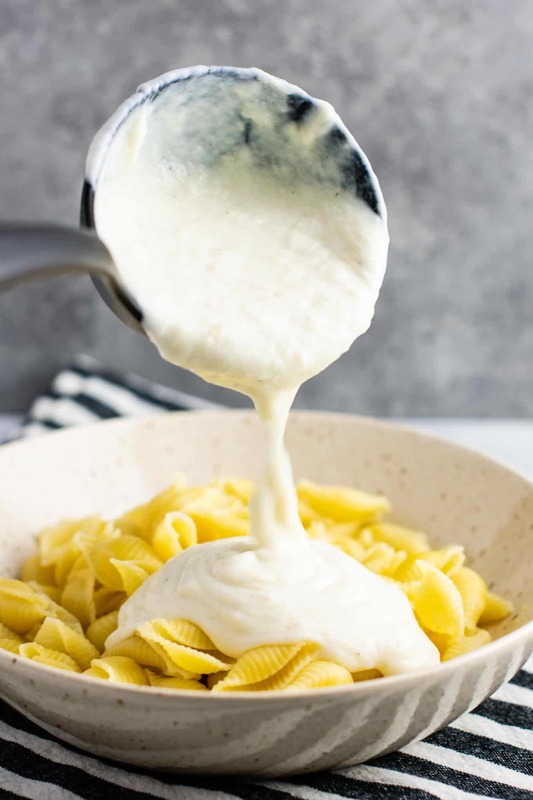 Easy Cauliflower Alfredo Sauce Recipe with fresh garlic and parmesan. So insanely delicious you'll want to lick it from the spoon! Steam cauliflower florets and whole garlic cloves together until fork tender. Read my post on How to Steam Cauliflower for how to steam cauliflower without a steamer. This was excellent! I added a good amount more of salt and parmesan but overall still a great dish! This looks delicious! But I can’t have liquid dairy…do you think I could sub almond milk for the 2% milk? I am not sure if it would work or not! Perhaps someone here has tried it and can comment? I know I’m late to this party, but this recipe was amazing! Used almond milk and a little avocado butter and it was delicious! So glad you enjoyed the recipe! !